Inspired by the days when milk was delivered to your doorstep, Kate Aspen's "Vintage" Milk Favor Jars add a touch of nostalgia to your celebration. Serve up milk and mini cookies or fill them with candy for your celebration. 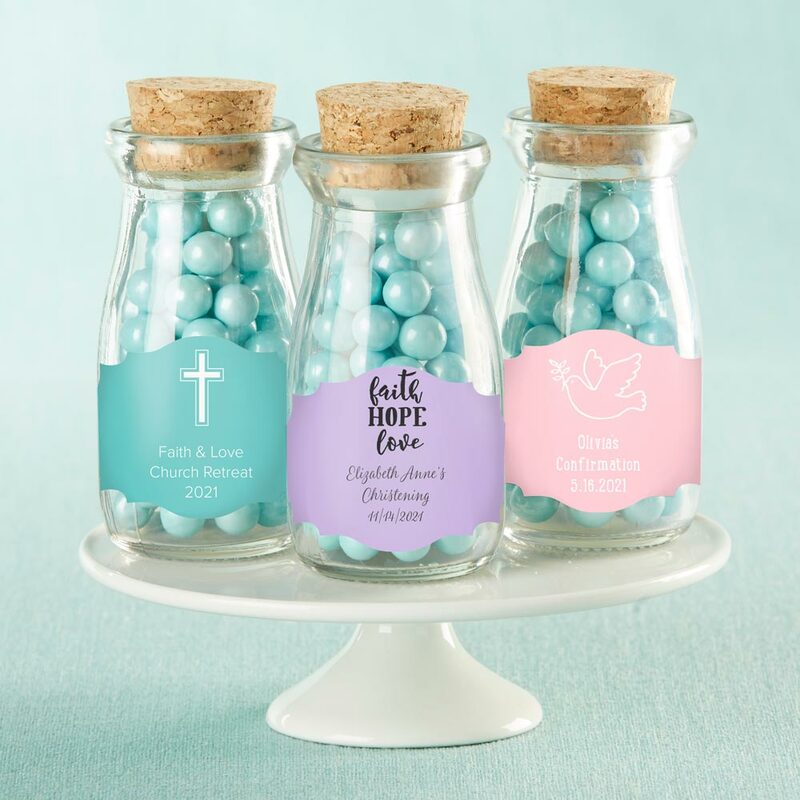 Personalize each favor jar for your religious event, milestone, or holiday. 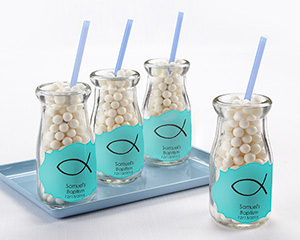 Whether celebrating a Bar or Bat Mitzvah, Baptism, Christening, or First Communion, there are design options for all.